As part of the fall season, do you have a learning unit all about apples? If so, we have the perfect apple craft to add to it. 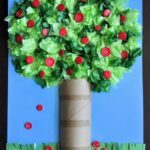 This easy apple tree craft is great for preschoolers and kindergartners. 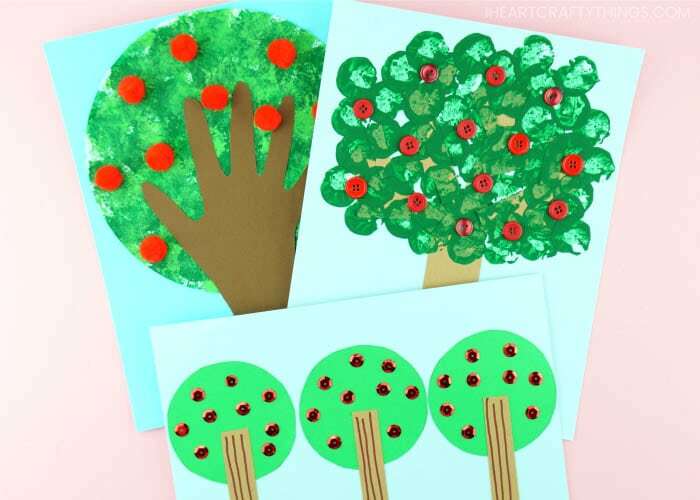 Kids will get great scissor cutting practice by cutting out the apple tree circles and tree trunks. Then they can practice controlling a glue bottle by adding dots of glue all of their trees. Adding all of the sequin apples is great for working the fine motor muscles in the hands too. 1. Begin by cutting a strip along the bottom of your lighter green cardstock to use for grass. Glue it onto the bottom of your light blue cardstock. 2. Use a pencil to trace a cup on your darker green cardstock three times. Cut out each of the circles and glue them in the middle of your light blue cardstock. 3. 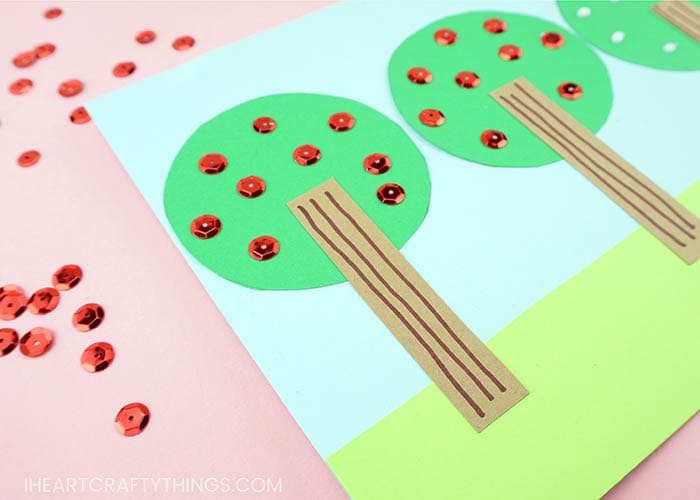 Cut out three rectangle tree trunks from your brown cardstock. Glue them onto each apple tree on your light blue cardstock. 4. Use a brown marker to draw lines down the trunks of all of your apple trees to give them some fun texture. This step is totally optional, I just like the way it looks. 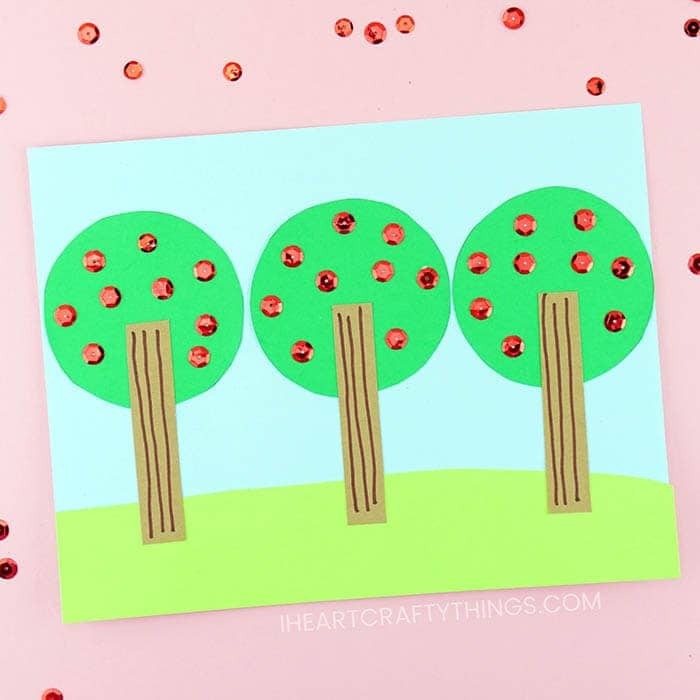 Your easy apple tree craft is almost complete! 5. Add dots of school glue on each of your apple trees. 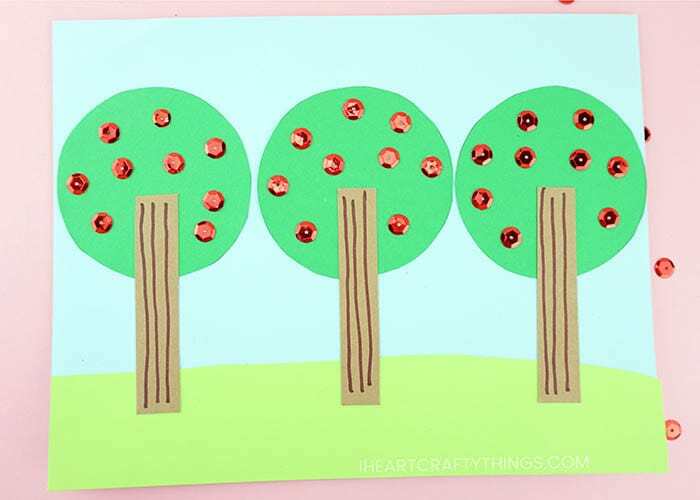 Then place a red sequin on each of the glue dots to finish your easy apple tree craft. Easy, peasy right?! 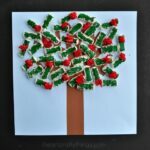 Use a wine cork for stamping to make this simple apple tree craft. 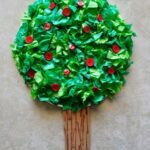 A handprint works great for the tree trunk in this fun apple tree craft. It makes it a fun fall keepsake craft. 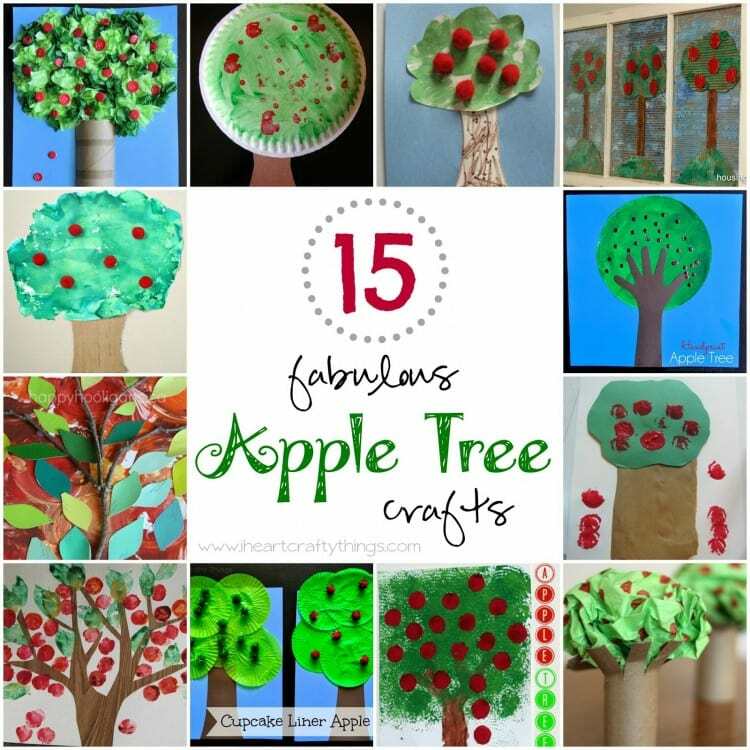 Check out 15 more fabulous apple tree crafts! Have any puzzles laying around the house with missing puzzle pieces? Use them to create this gorgeous Fall Tree Art Project. Here is another fun apple craft for the fall season. A simple paper plate is used to create the apple and the wiggly worm puppet inside makes this craft extra fun for kids. Recycle a plastic lid into this fun pumpkin sewing craft. It’s a great way for teaching kids beginning sewing skills. This little popsicle stick pumpkin keepsake is a perfect fall craft to make after visiting a local pumpkin patch.